Legalectric » Blog Archive » Does this solar make my house look fat?!?! Does this solar make my house look fat?!?! 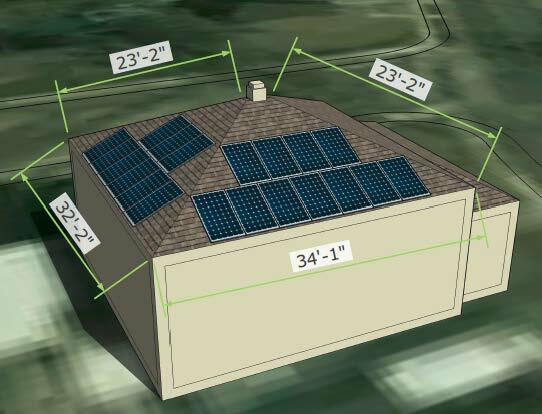 Does this solar make my house look fat?!?! Soon… coming to a new white roof on West! It looks reasonable that we can cover our annual useage, average is 465 kWhr/mo., and if we can keep Alan’s air conditioner out of the window, and figure out a heater for the mudroom during polar vortices (? )(got a panel heater, should work), it’s even lower, so NO PROBLEM! Won’t be able to get out of the $8/mo to Xcel for the privilege of getting a low bill from them, drat! We’ve got the new roof on, so we’re ready to rock! Just have to nail down the details! THIS is how solar should be, on every rooftop. It’s SO easy, it’s at load, DOH! Just do it! And then there’s this: Build a Simple Solar Air Heater. I want one on the south side of every building in Red Wing. How hard would that be?